"Wild and violent groups of Antipodes infest the Southern region of USAriadna, and what is the local authorities' solution? To send a group even more wild and violent to put an end to them. Very well, and when they have done it, who will free us of these Desperadoes? Because of the “Scalp Law” volunteer groups were formed, composed of paramilitary veterans from the days of the Commercial Conflicts and the Antipode wars. Although they have certainly proven effective in the fight against the Antipodes, and they are useful as an irregular mobile force, they are a source of constant problems and violations of the law which the Hardcases have reported on numerous occasions. 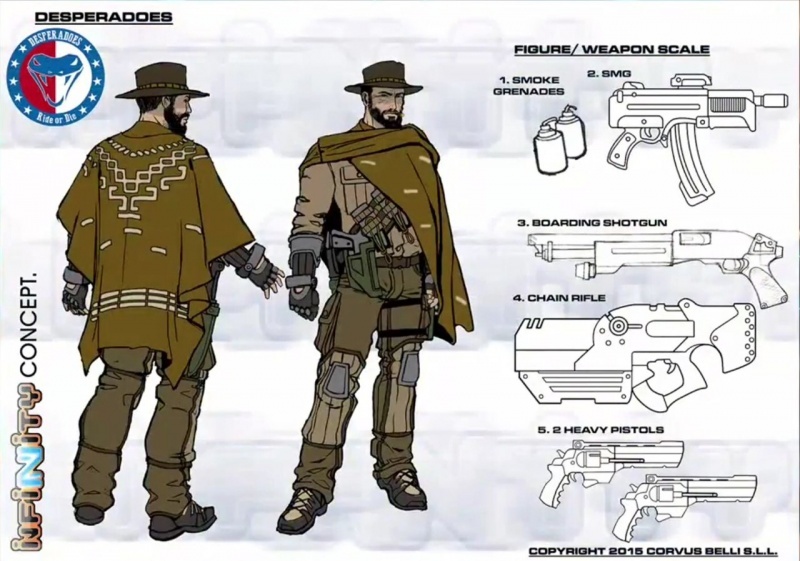 The Desperadoes are experts at pursuing Antipodes and, mainly, at different methods of shooting people, but they lack the necessary training in police techniques and observance of the law. 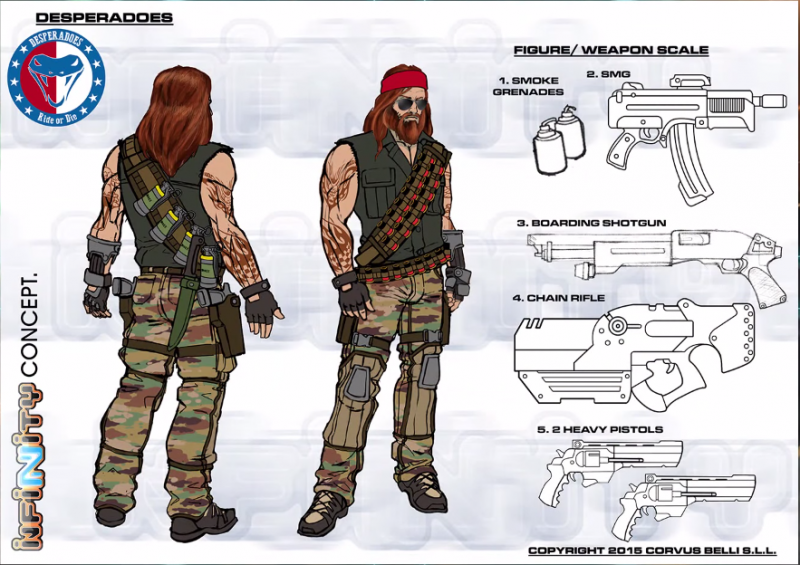 They are dangerous and unstable, and have caused other tribes to rise up against the colonists. But they have the support of the state government, who can use those scalps for their elections. 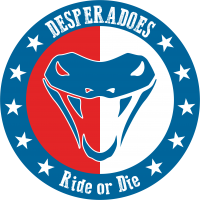 So the Desperadoes do what they want without fear of being disciplined by their superiors. And this feeling of impunity leads them to break more laws and violate more rights every day. 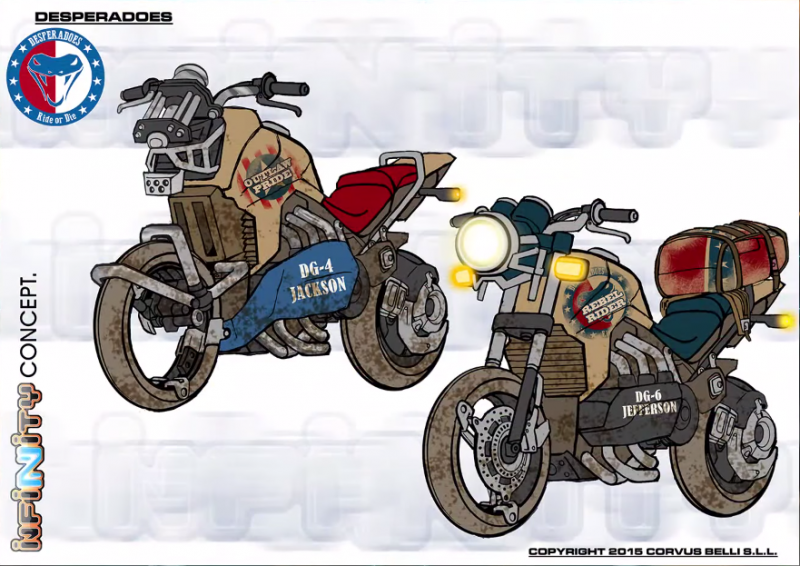 Adopting certain characteristics of biker culture and their pride in belonging to the free and authentic South, the Desperadoes have developed a sense of brotherhood, which is only broken when they compete at scalp hunting. 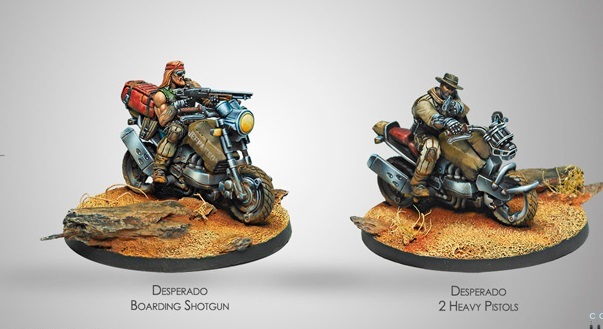 With their weapons and their powerful motorcycles, they are the new gunslingers of the USAriadna border. A true danger to their enemies… and to all of society."